Dr. Alan Topham is originally from Salt Lake City. 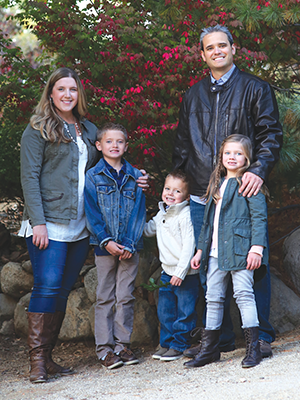 After completing a two-year service mission for his church in South Korea, Dr. Topham returned to Salt Lake City, where he earned an undergraduate degree in Medical Biology from the University of Utah. He then entered the University of Michigan School of Dentistry in Ann Arbor, where he received his Doctor of Dental Surgery degree. Following dental school, Dr. Topham gained valuable training and expertise during a general practice residency at Veterans Affairs Hospital in Dallas. He then practiced for two years as the lead dentist in a corporate dental clinic in San Antonio. While working at the corporate chain, Dr. Topham came to realize that he wanted to be able to provide his patients with more personal attention than the corporate dentistry model allows. He determined to acquire and manage a private practice where he’d be able to provide each patient with the time and attention they deserve. After months of searching, he jumped at the opportunity to acquire Lakeside Dental in September of 2013. Dr. Topham is thrilled to call Reno home! When he’s not in the office treating his patients, he enjoys traveling, biking, going to movies, and spending quality time with his wife Whitney, and their three young children. He truly looks forward to meeting you and welcoming you and your family to the Lakeside Dental family. Call our office today to schedule a convenient appointment with our team.